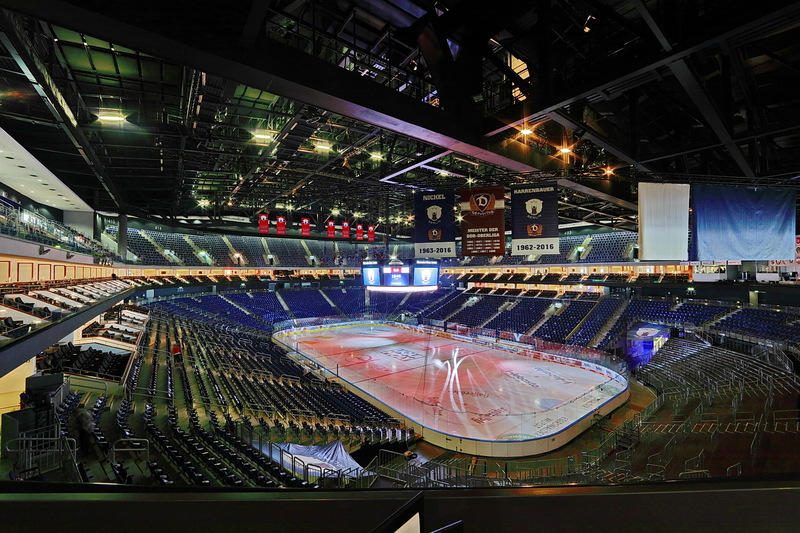 The Mercedes-Benz Arena in Berlin has had its technology infrastructure upgraded with a new Tripleplay IPTV and digital signage system, following the investment generated from Mercedes-Benz becoming the new principal sponsor. A multi-purpose, 17,000 capacity facility – the Mercedes-Benz Arena is owned and operated by the Anschutz Entertainment Group (AEG) and is one of Germany’s largest indoor arenas. It has hosted some of the world’s biggest names in music and sports ranging from NHL ice hockey to FIBA basketball and UFC. The new IPTV and digital signage system forms a major part of the venue’s technology enhancement aimed at improving the customer experience and developing new revenue opportunities. AEG wanted a cost-effective IPTV and digital signage solution that would provide all of the features a modern day arena would expect and a modern audience would deserve; remote screen control, content scheduling, event triggers, social media delivery, user access control and low latency IP streaming. With experience in more than 50 other stadiums and arenas, Tripleplay was well placed to deliver the solution AEG wanted for the Mercedes-Benz Arena. In total around 200 screens with IPTV and digital signage capabilities were deployed at the arena using the Tripleplay IPTV Head End and Digital Signage CMS built on HP Enterprise servers, Amino H150 Set Top Box (STB) delivered to NEC screens. Screens were deployed in the VIP areas, bars, restaurants, F&B concession stands and concourse, giving AEG a direct communications channel to all areas of the public within the venue and a large network to distribute IPTV streams to and zone messaging accordingly. Tripleplay’s platform is also integrated with the venue’s legacy scoreboard software from Schauff and iCast, enabling statistics and game times to be displayed on any screen in the venue, giving a single point for the venue team to manage on event day. As an additional content source, Tripleplay’s TripleSign digital signage also distributes social media feeds used by the Mercedes-Benz Arena; creating a platform for visitors and linking the mobile experience to the flat screen. As part of the solution, Tripleplay’s low latency HD Encoder is deployed at the Mercedes-Benz Arena enabling the delivery of live event and sport streams from ‘in-bowl’ to any screen or device on the digital signage network, with lower than 300ms of end-to-end delay. Mercedes-Benz Arena has also deployed Tripleplay’s STB client control solution, TripleClient onto employee tablets and phones, to schedule venue screens and projectors to power on and off, alter screen volume and to allow ad-hoc control of every single screen; permitting the display of a unique experience at each of the 200 screens on site.